We got an inch of snow yesterday. Only snow left is on the deck. 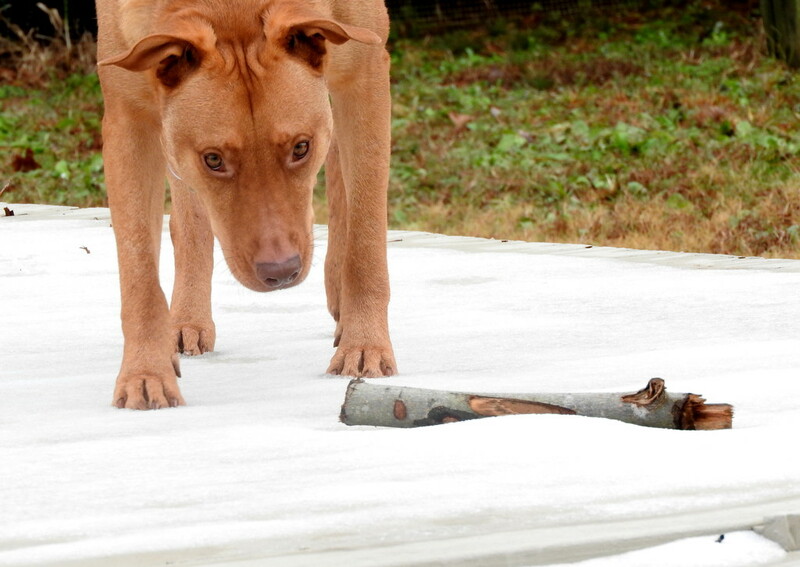 Your dog seems a bit apprehensive to take his stick out of the snow. I'm not sure I'd getbetween the dog and the stick.